Tuesday is a FUN DAY! At least...that's what I've decided this morning. The weather here in Jacksonville is getting to be WONDERFUL! I can't wait until it cools off enough we can have the windows open and smell the fresh, crisp air. When we DON'T have humidity here...it's just the absolute best! Then you can hear the birdies singing.... so wonderful. 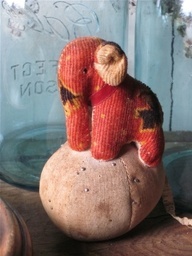 Today I've found some things that I thought were pretty darn interesting, cute.... or just something I down right LOVED!! 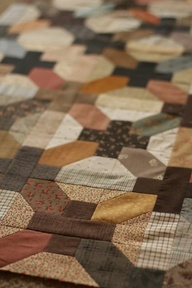 I am a true lover of taupe's and muted colors... isn't this pattern adorable? It's called Canning Jars !! The offset PLUS sign is made with the surrounding sashing on the regular block! Yes... I truly wouldn't mind if this quilt belonged to me! I thought this was pretty darn clever. 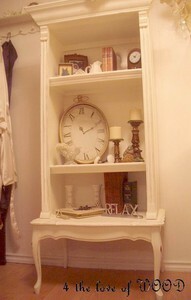 To give your shelves a bit fancier look.... sit them on a fancier coffee table...then paint the entire piece one color. Personally.... 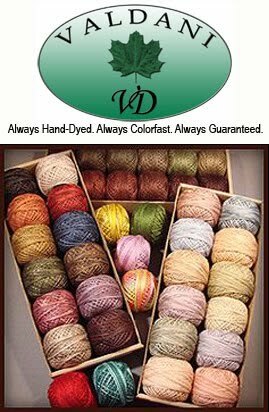 I would love to see this full of antique pastel quilts! How pretty!!!! This is something I had never seen before.... they have this stuff (Brite - I think it may be floor wax) that you can coat your pumpkins with and they last longer throughout the season! Cool Huh? 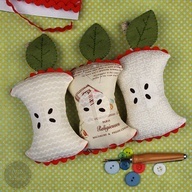 I adore pin cushions... look at these apple cores - the red part is rick rack! Aren't they too cute? Then...look at this sweetie... I sure would like this one! That elephant is tttttooooo wonderful! Now here is another one of those antiques that I wish could talk! Who owned you? Where have you lived? How many pieces of work did you help make? Have you ever in your life seen anyone make a gate from old bed springs? I sure haven't But you know... it certainly works and it's not that bad looking! I can see the expression on my face as I walk up this sidewalk and see this... I'm sure I would look very stunned!!! Here is another one of my favorites when I was little. I loved Shirley Temple! Her movies were the best...especially when she was singing and dancing with those pouty little lips!!! 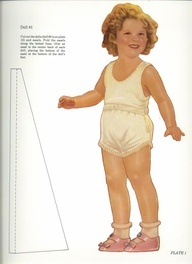 I always wanted a doll and paper dolls of her...sigh...it never happened. I want to get my two young granddaughters interested in her. I hear they have remade her movies into color! hmmmmmm... I'll have to check them out! Well... I have laundry that needs to be folded (ick)... so here is our sweet/funny for the day!! Yep...yep.... I just need a sip...!! !